Only Todd Howard can stand and say with a straight face that a game set in nuclear wasteland is not about survival. 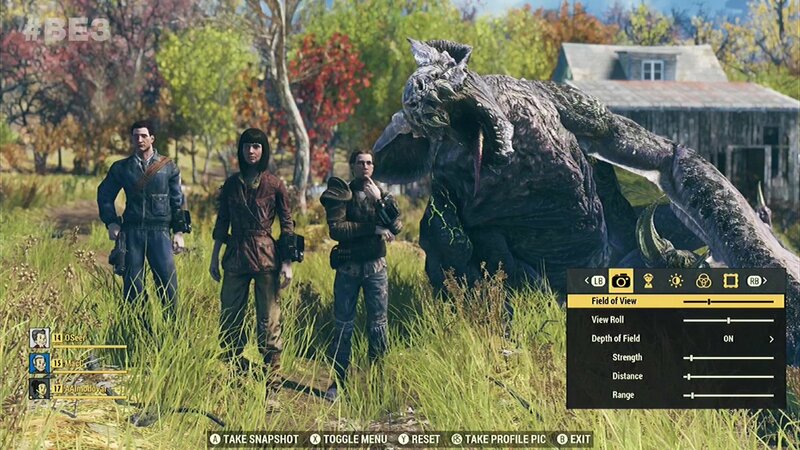 In an interview with The Guardian (which is honestly impressive, considering the subject matter) Todd Howard offered more insight into Fallout 76’s survival aspect, because lately it seems like his job has been relegated to diffusing various fears people have about the game. “We avoid the word ‘survival’, because people’s minds immediately go to DayZ and Rust and certain other games, and those comparisons are not really accurate for what we’re doing”—says Howard. Which is just to say: probably no survival meters. Base building though? Yeah, base building is in. So not an entirely bad comparison, is what I’m saying, Todd. Our guy used the opportunity to again reiterate that players aren’t going to be killed by other players in PvP often and that nukes flying around is an exaggeration. “Death is already bad enough in a game, because you’re losing time, that we didn’t feel we needed to add any further penalty. We wanted to make sure you don’t lose your progression”—he said. You know Todd, I’ve taken to treat these posts about Fallout 76 as conversations between you and me, even though I know there’s no way you’ll ever see this. With that in mind I want to say that you really maybe should stop explaining yourself and let the game speak for itself. I’m sure it will sell, you made it.